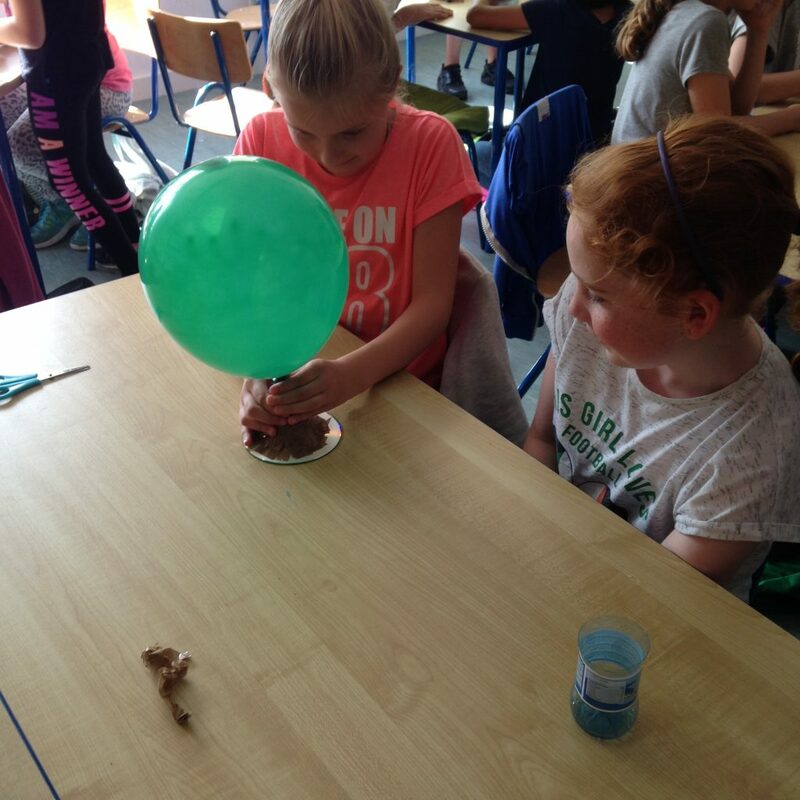 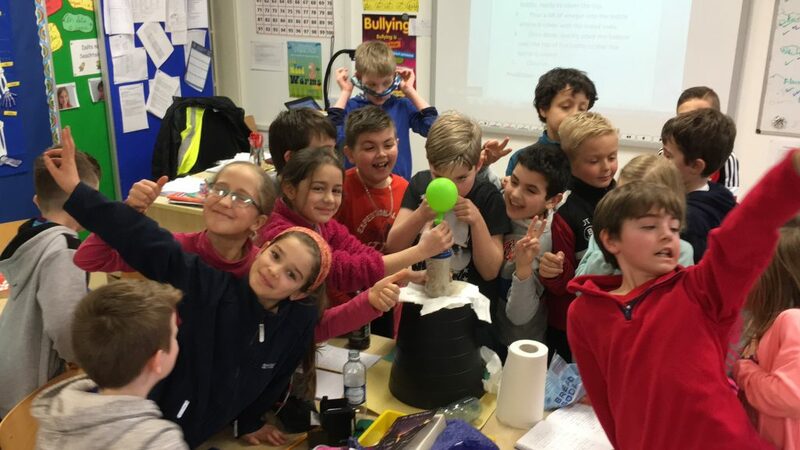 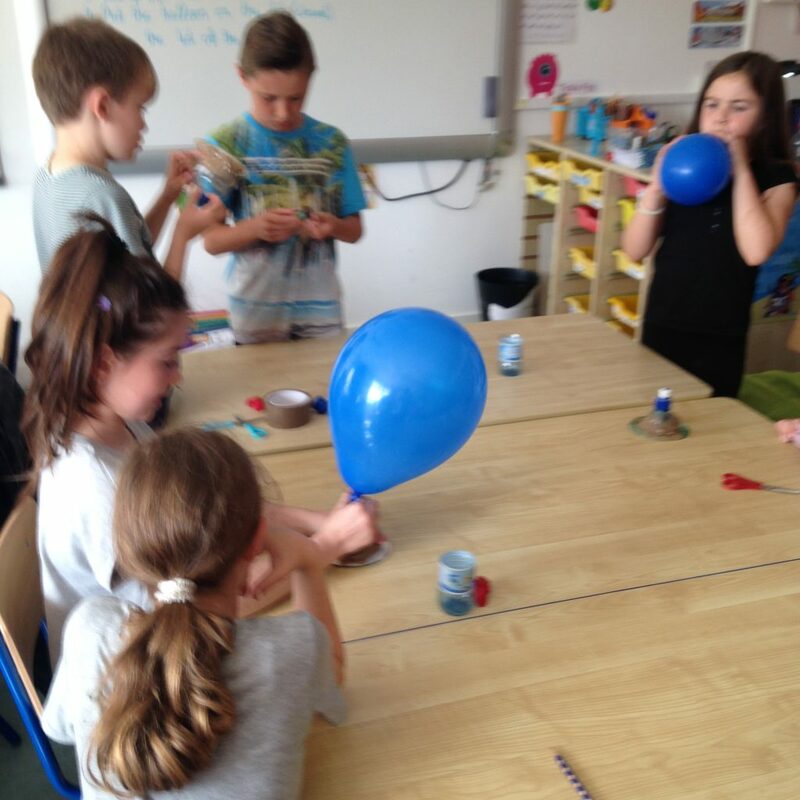 Various classes throughout the school carried out a number of experiments under the four strands. 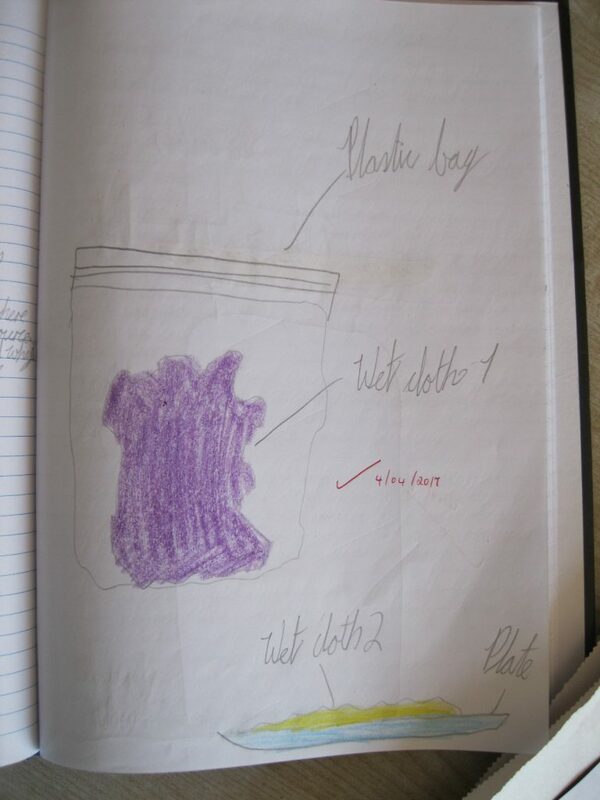 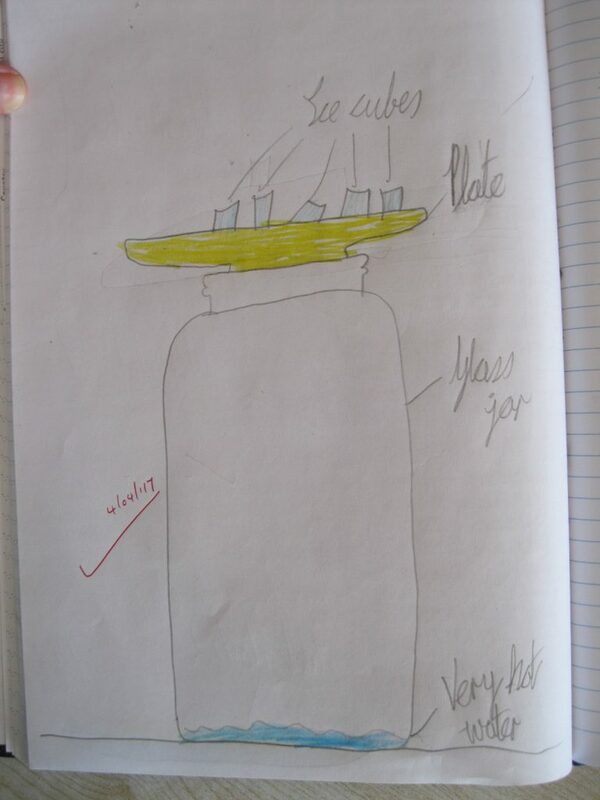 Our school, each year, always puts a huge emphasis on scientific experiments. 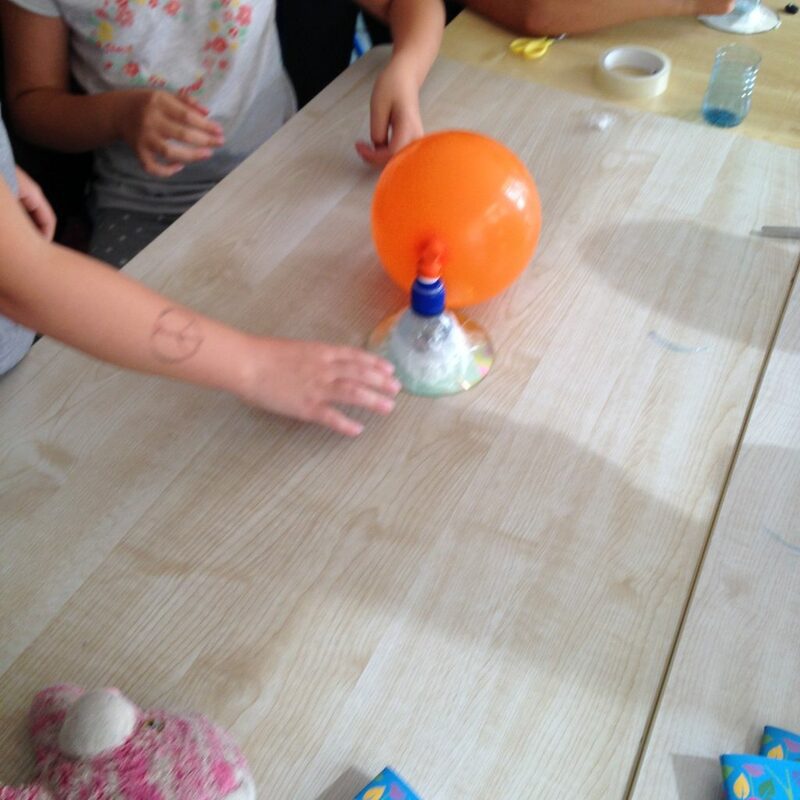 Children learn so many different skills while doing experiments and are ultimately really engaged in such activities. 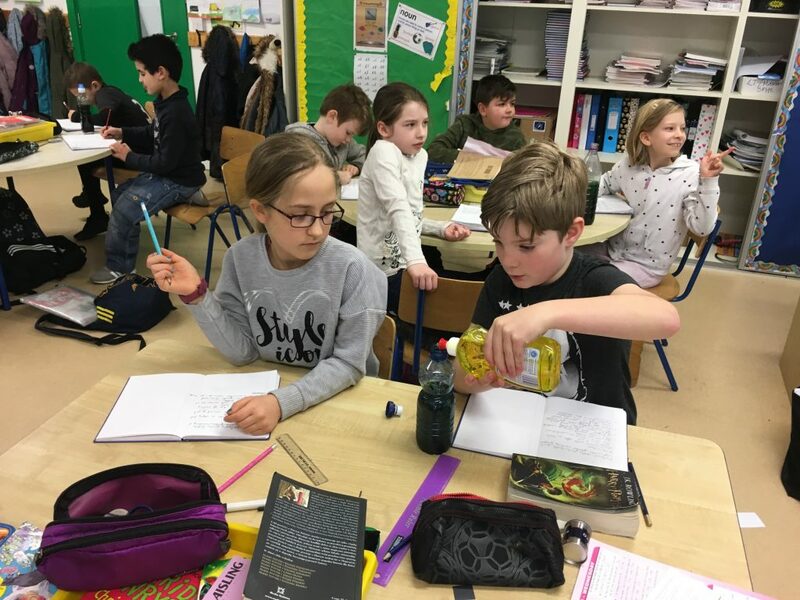 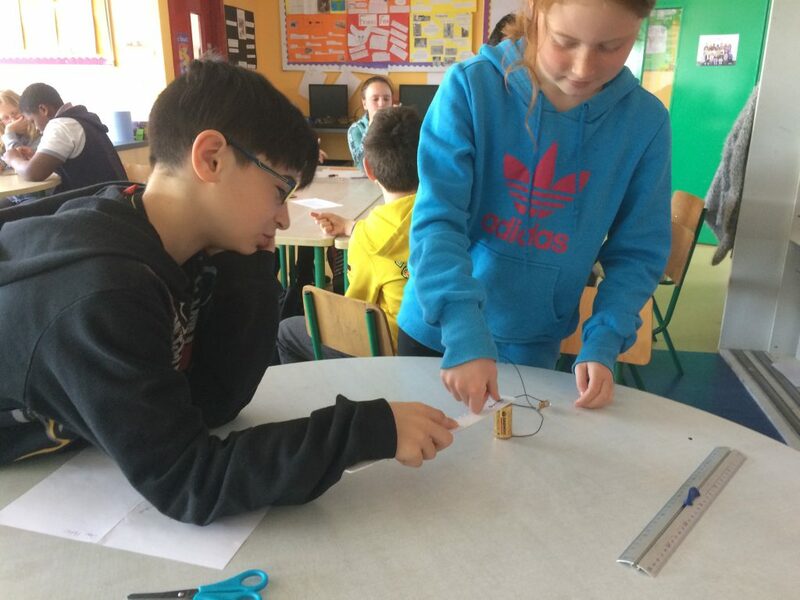 3rd Class carried out a number of experiments on materials. 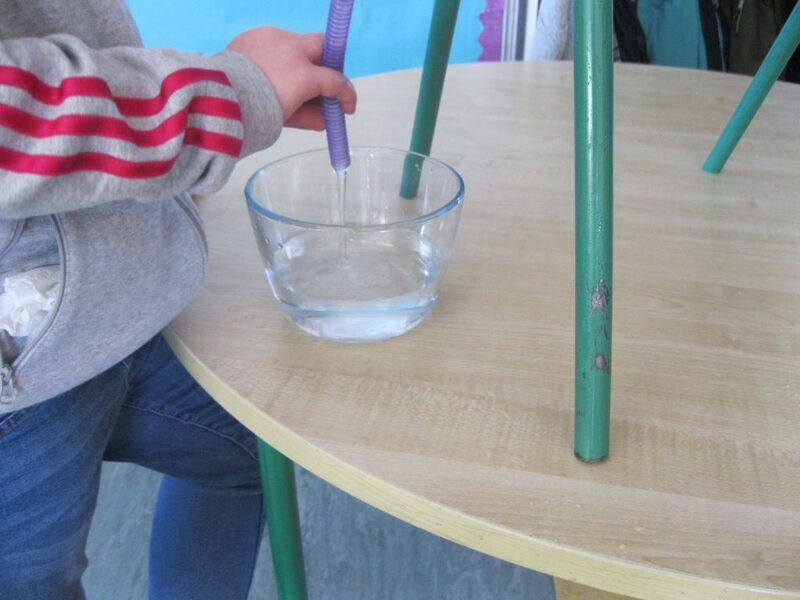 They investigated what happens when you mix vinegar and baking soda. 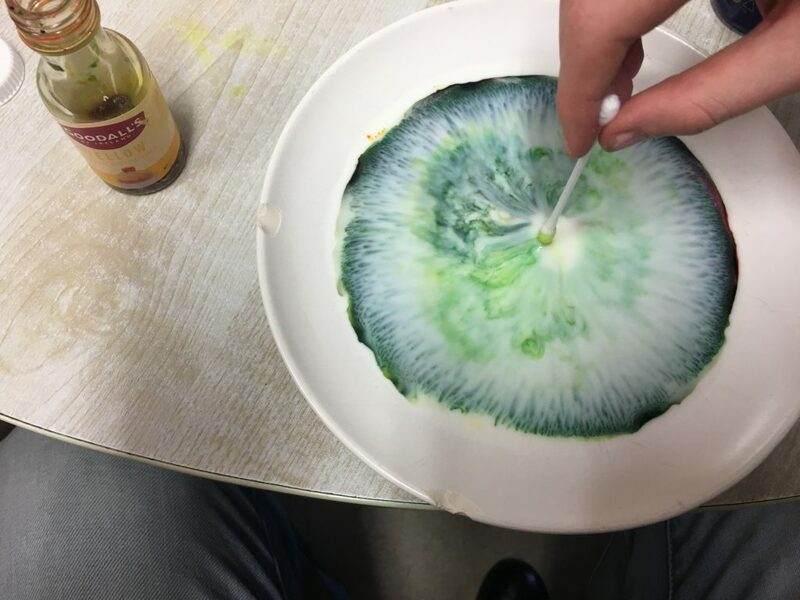 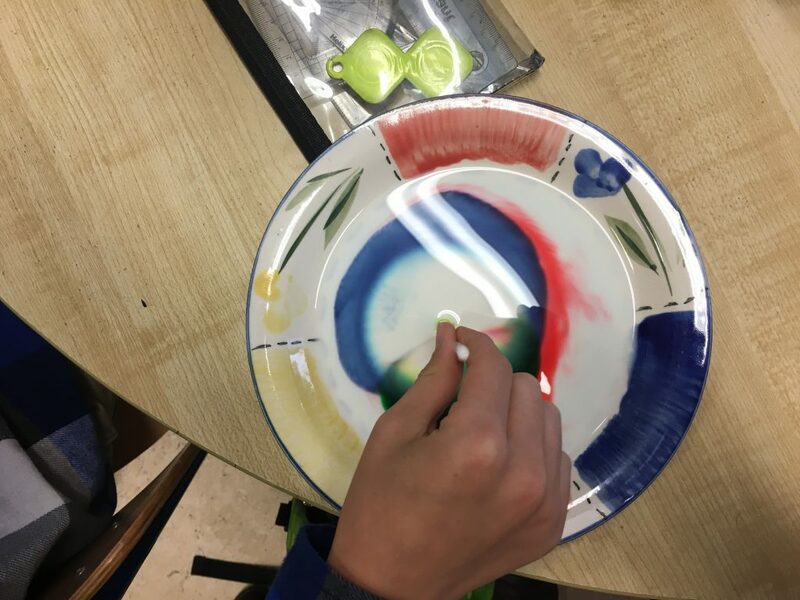 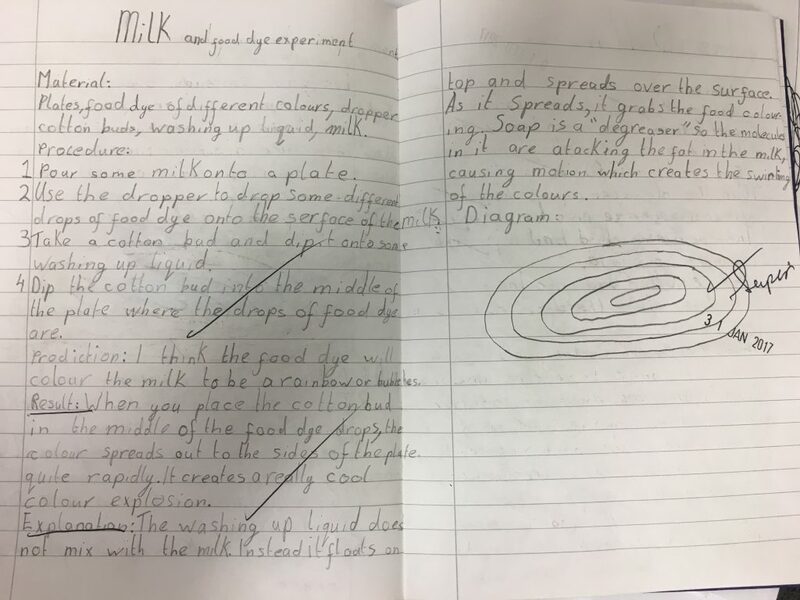 They also did an experiment where they put milk on a saucer and added food dye to the centre. 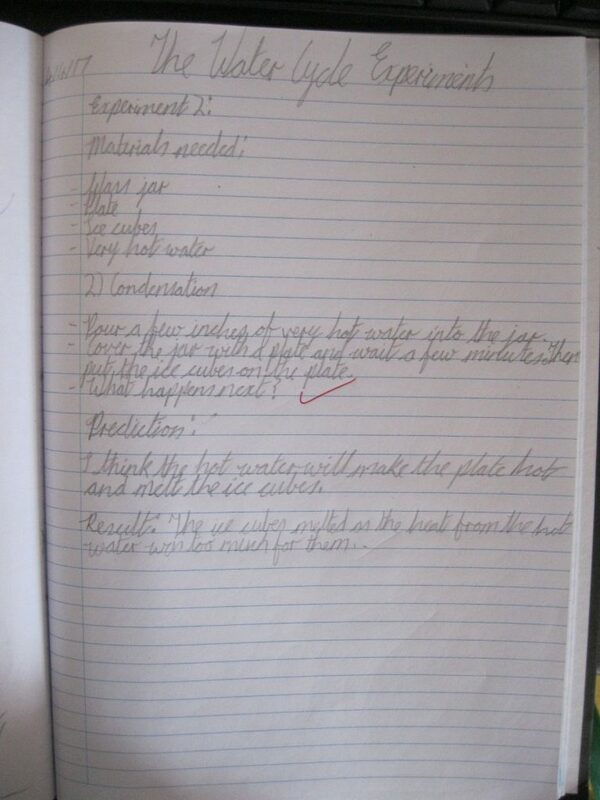 They then placed a cotton bud, with washing up liquid on its tip, into the food dye. 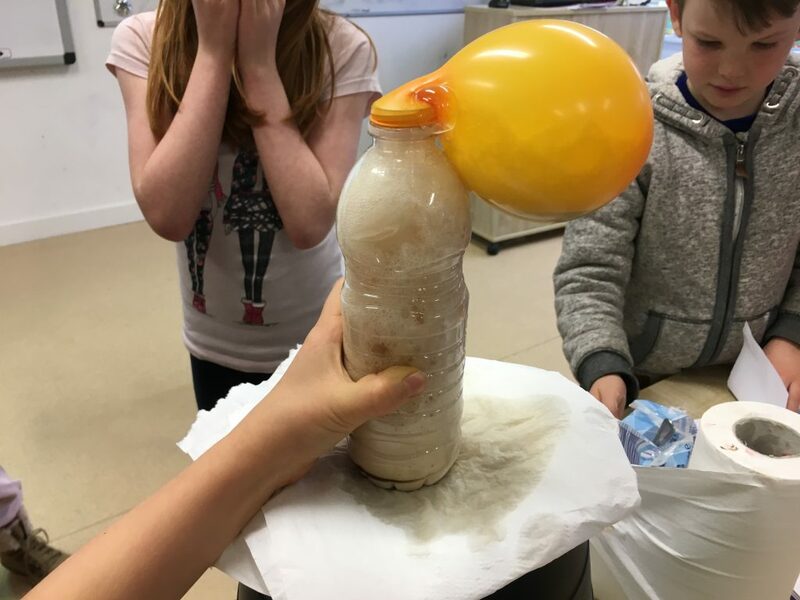 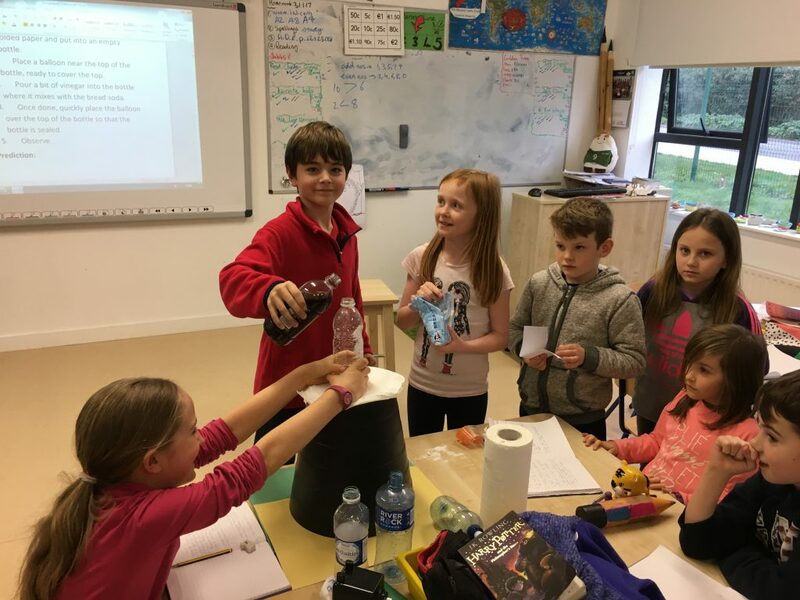 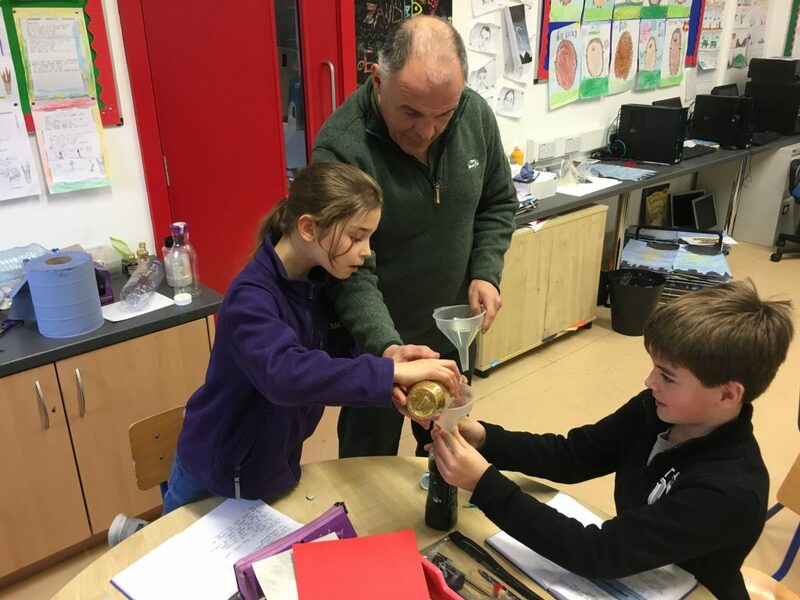 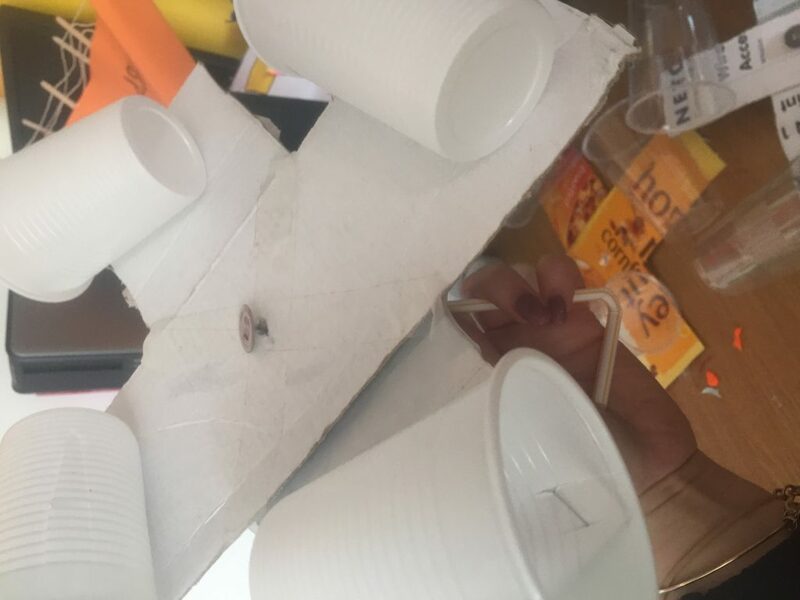 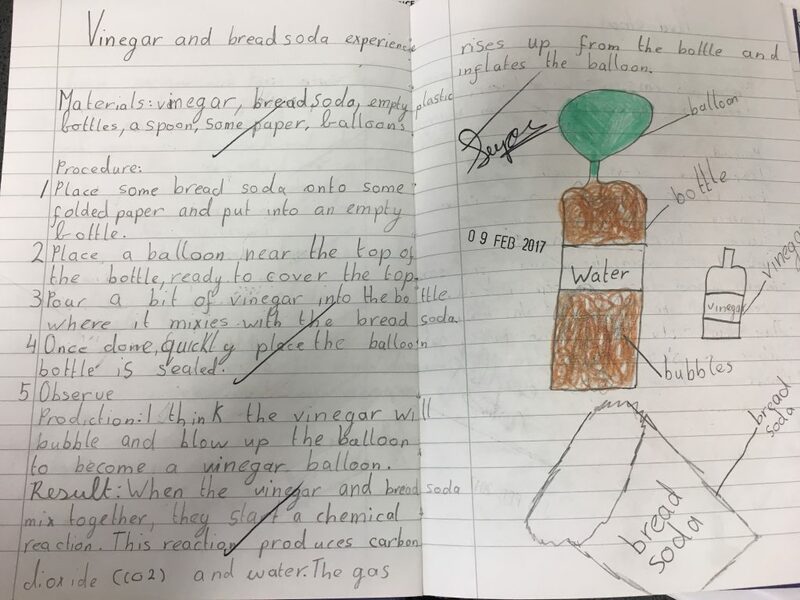 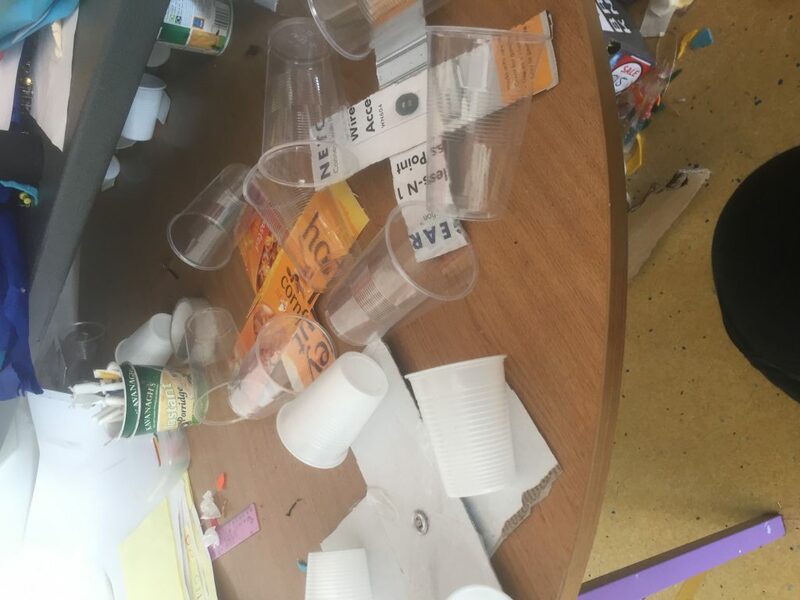 3rd Class did an experiment where they tried to make a tornado in a bottle. 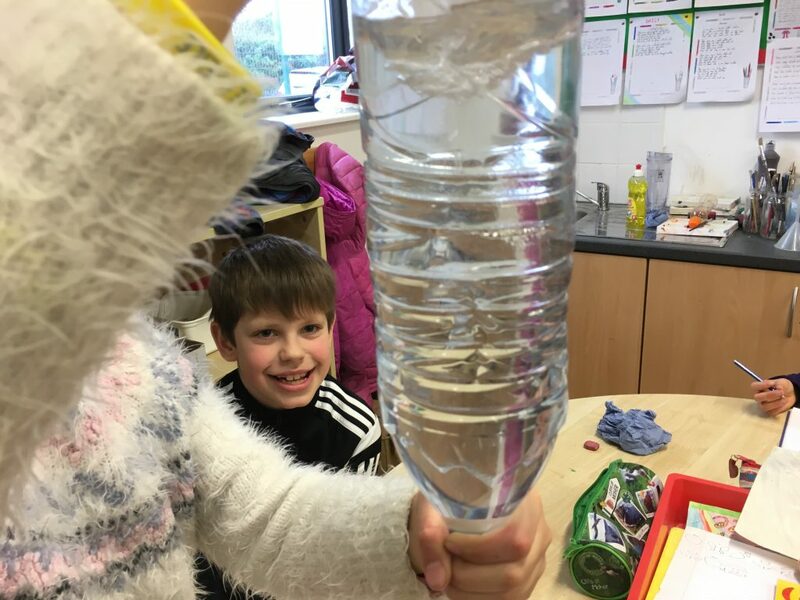 The had great fun trying to make the tornado by shaking the bottle in a particular way. 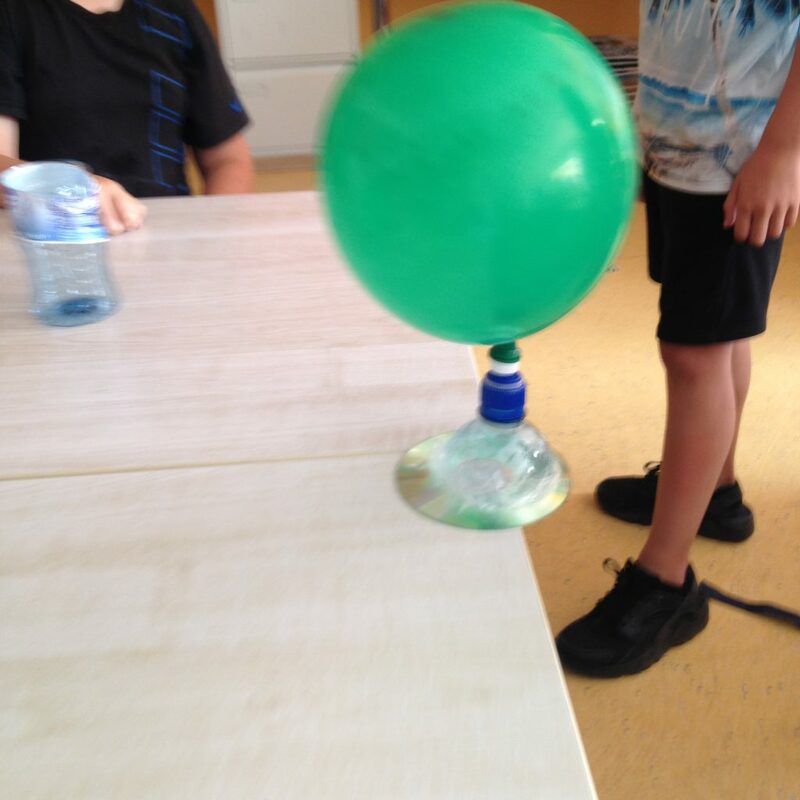 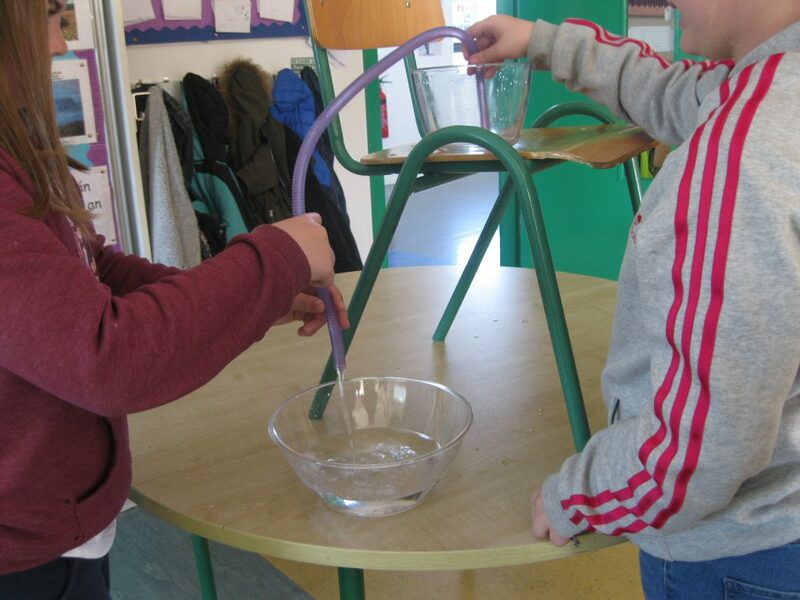 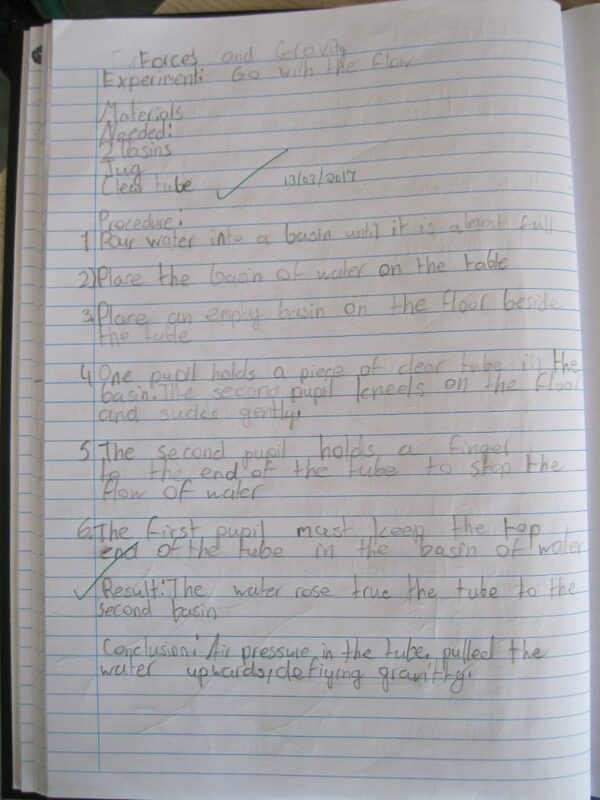 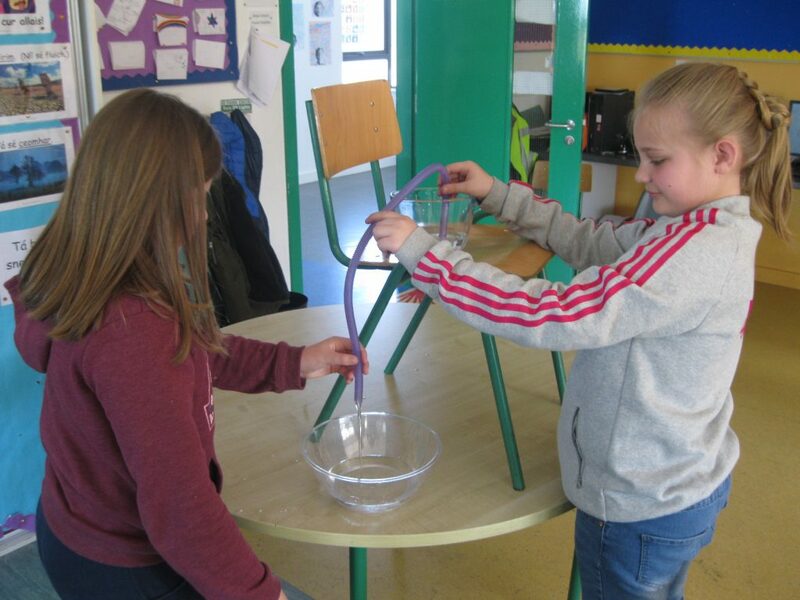 5th Class did experiments to show the air pressure pulling water up and the Water Cycle. 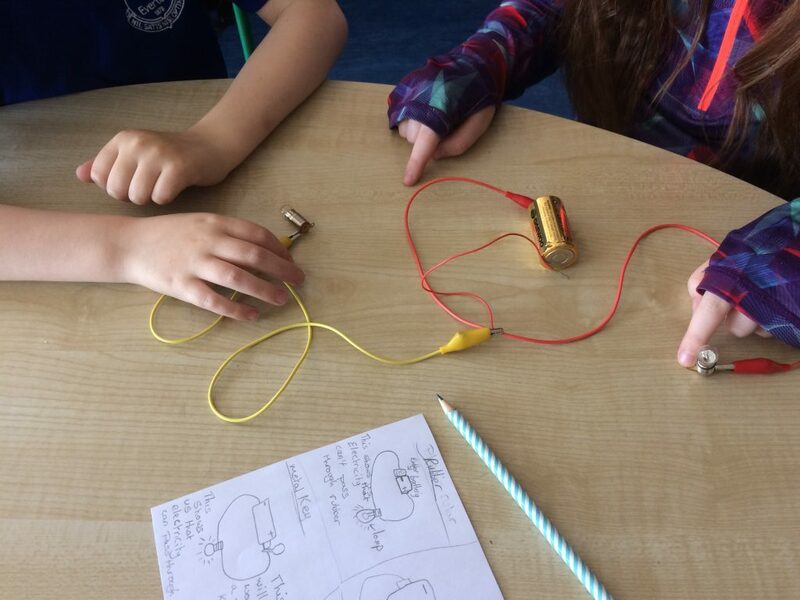 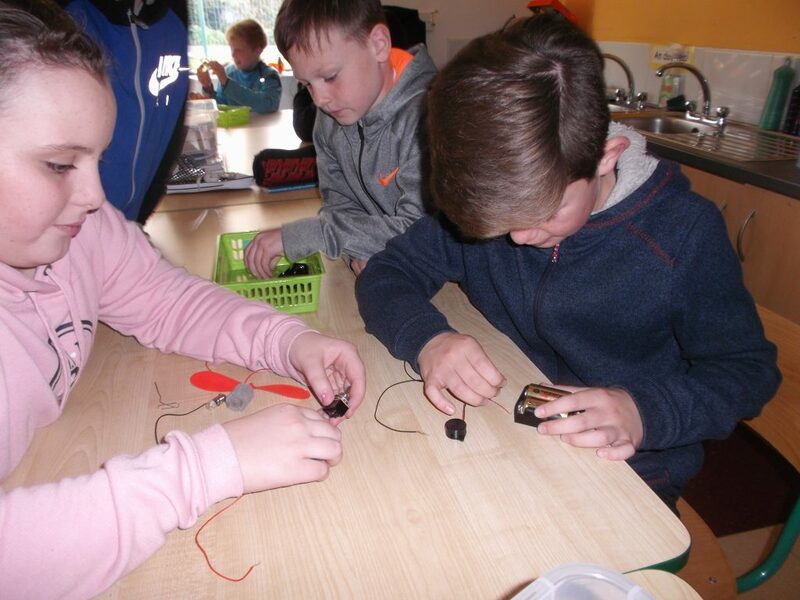 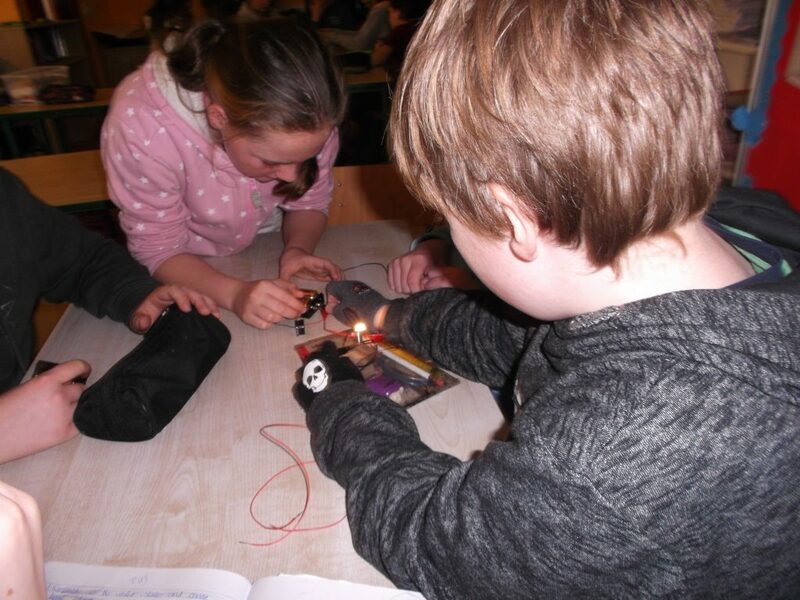 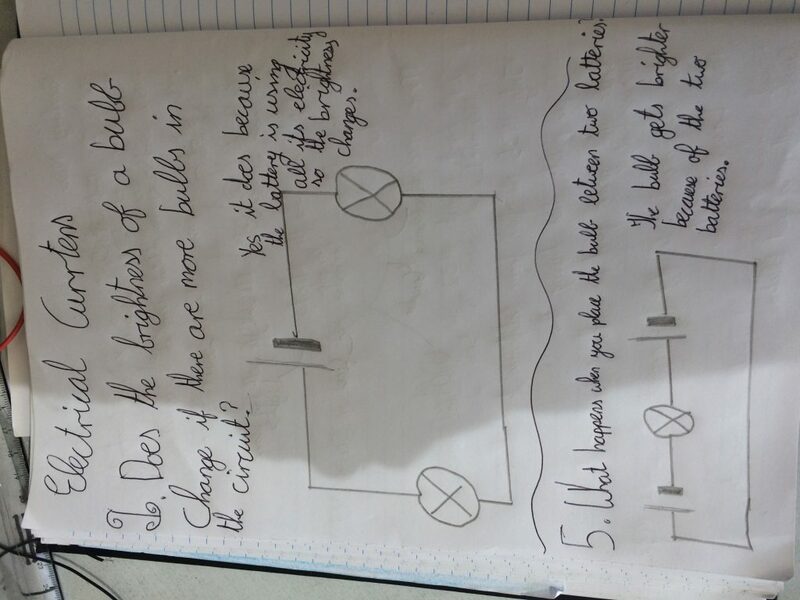 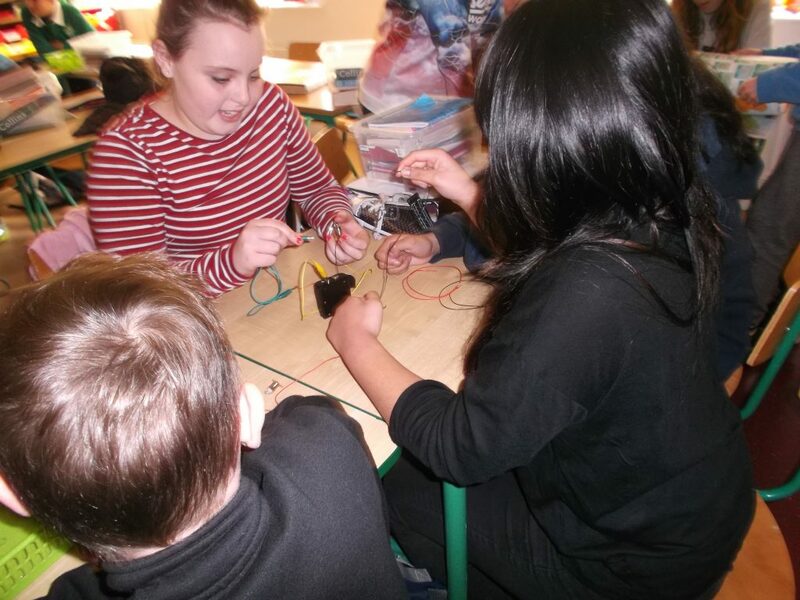 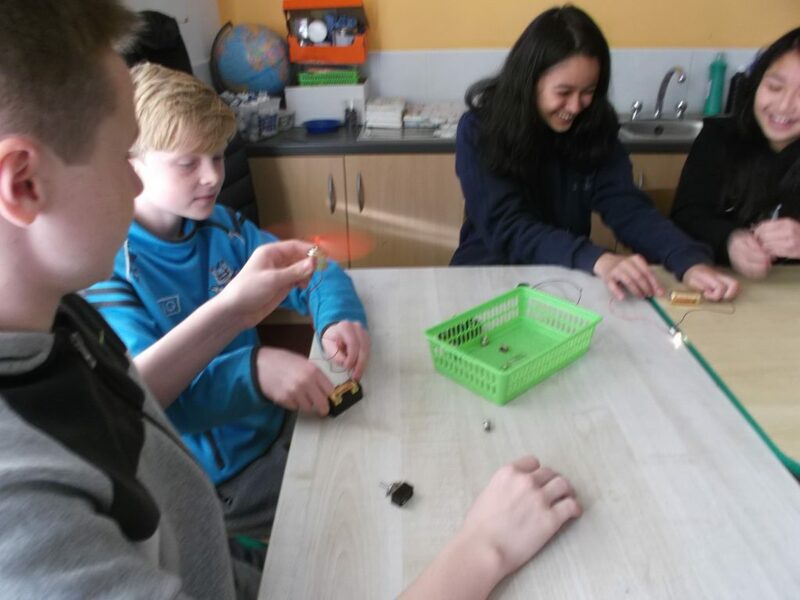 6th Class did some experimenting with electrical circuits. 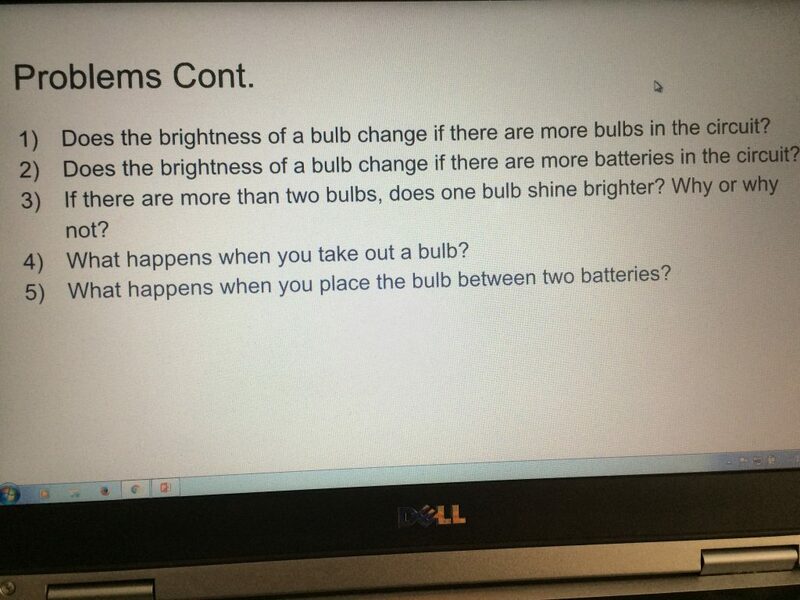 They had to connect a circuit to power a bulb and a small fan. 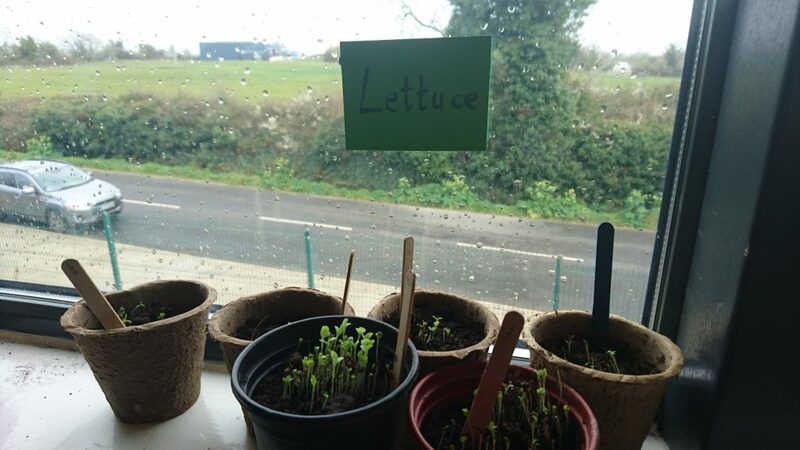 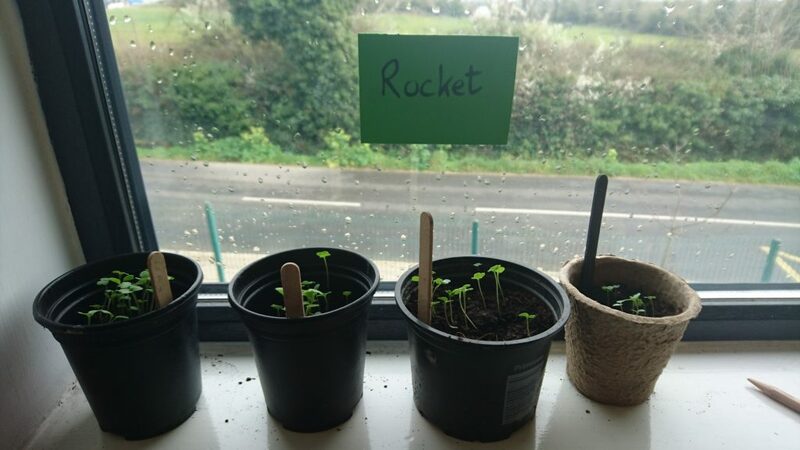 Many classes throughout the school have been growing lettuce in their classroom and planting seeds in their classrooms. 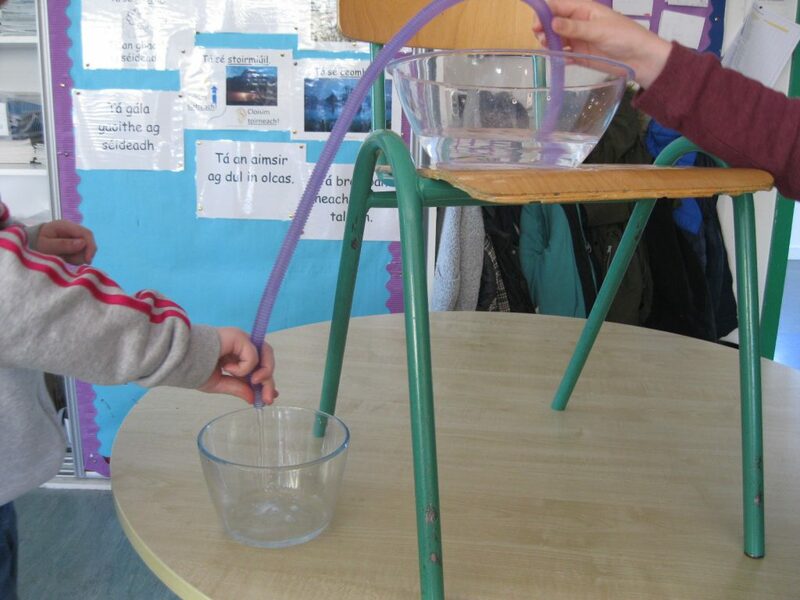 2nd Class looked at how the sun’s heat can evaporate water. 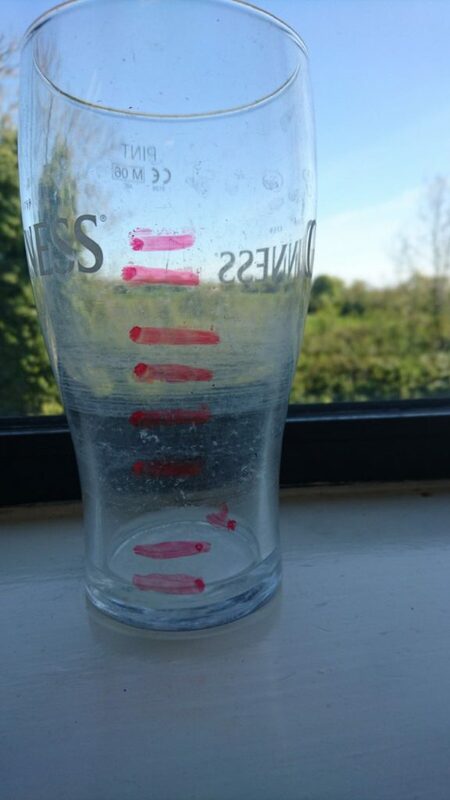 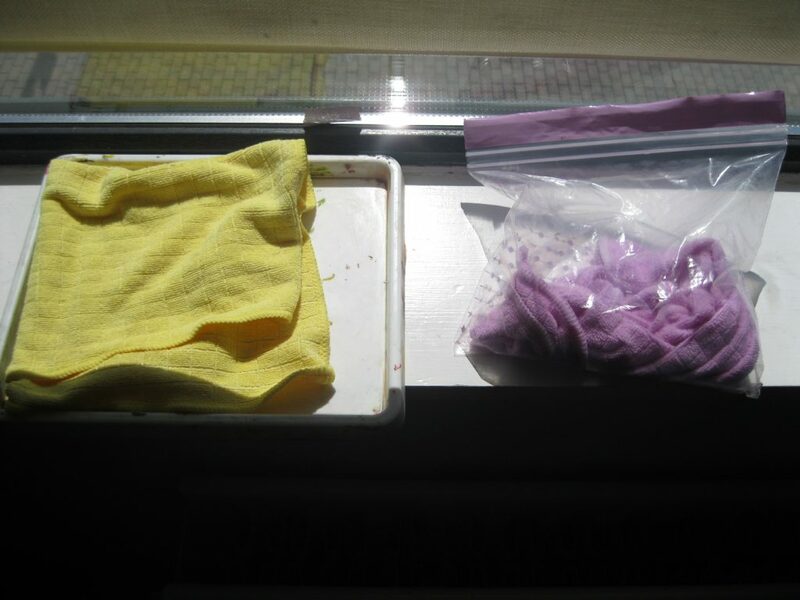 They left a glass of water on their window sill for 8 weeks and marked the drop in water level each week. 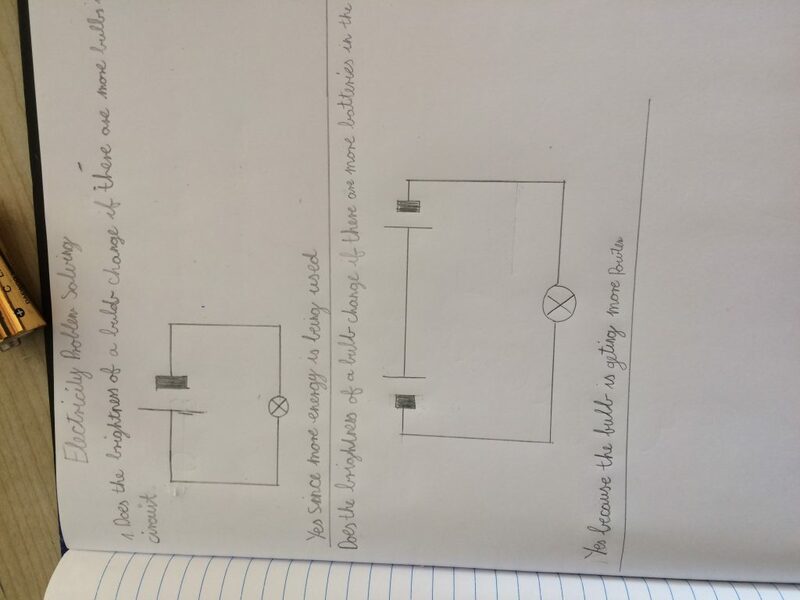 It made for some interesting discussion and findings. 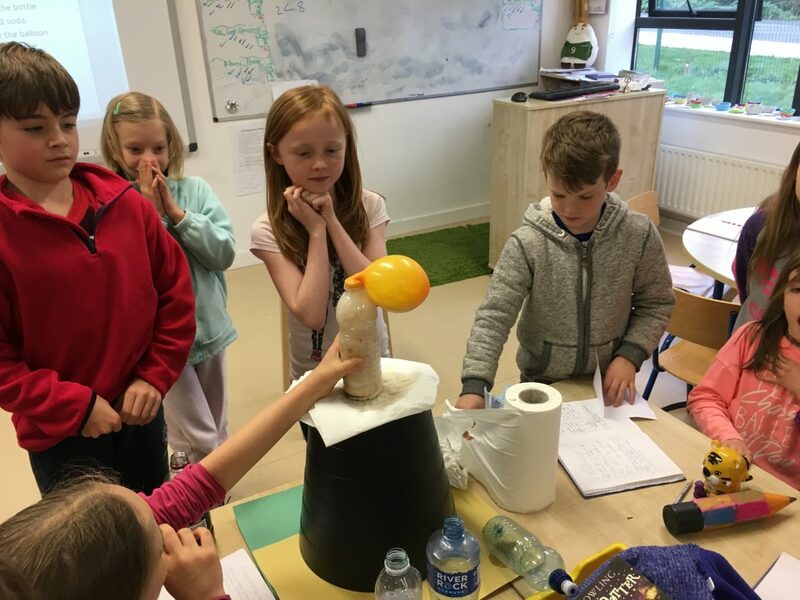 4th Class studied the importance of wind energy and the harvesting of such a renewable source of energy. 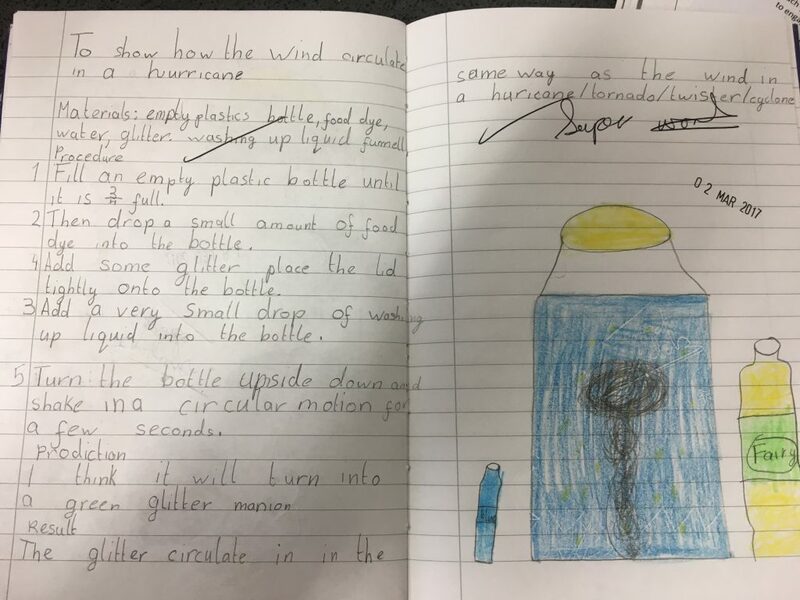 They made wind turbines and recorded wind speed and direction.